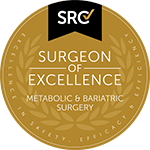 Choosing to undergo bariatric surgery in Sydney with Dr. V. Kuzinkovas of Advanced Surgicare is an important, life-changing decision. However, it also takes dedication on the part of the patient. Weight loss surgery is not a miracle cure for obesity. Instead, when combined with a healthy diet and exercise program, it is an effective tool to help individuals suffering from obesity lose the excess weight. Although losing weight with the help of bariatric surgery is a lifetime commitment, the rewards are well worth the effort. In many cases, bariatric patients who have successfully lost the excess weight after surgery and kept it off are able to resolve their obesity-related health conditions, which often include type-2 diabetes, heart disease, sleep apnea and asthma, among others. Not only are they healthier, they are also typically happier and have improved self-esteem. 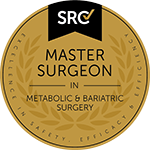 To help obese individuals lose surplus weight, become healthier and lead a more fulfilling life, Dr. Kuzinkovas offers a range of bariatric surgery procedures, each designed to meet the unique anatomical and metabolic needs of each patient. These include gastric sleeve surgery, gastric bypass surgery and Lap Band surgery (i.e., adjustable gastric banding surgery). To learn more about each of these procedures, please see the videos below. To schedule an appointment with Dr. Kuzinkovas and to learn more about the different types of bariatric surgery he performs and how bariatric surgery can help you lose the excess weight, contact Advanced Surgicare Clinic by calling 1300 551 533.